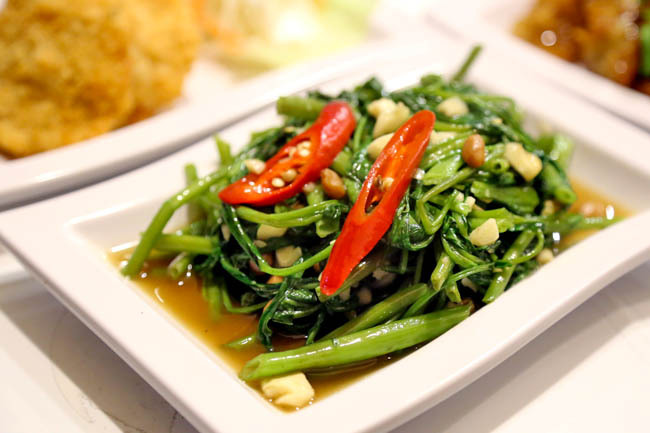 Singaporeans are loving their Thai food, and it is not uncommon to find more and more Thai restaurants these days. My gripe? Some of the long queued ones are either not too authentic to begin with, or standard has fallen after they find popularity. 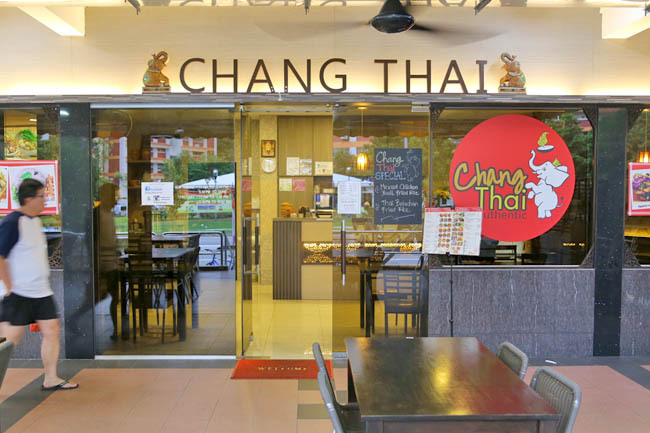 I am still on the search for affordable and good Thai food, which brought me to Chang Thai at 151 Bishan, discretely located next to a kopitiam. 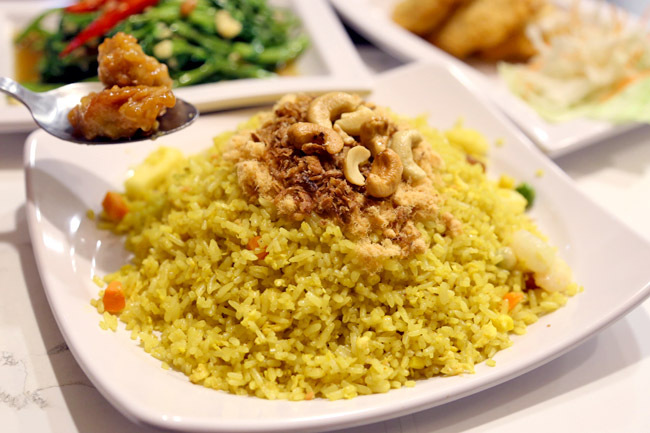 Chang Thai is established by three young Singaporean buddies, John, Mitsu and Ian, who wants to offer the authentic Thai food in Singapore’s neighbour areas. Their head chef Alex aka “Somkid” is a native Thai who started cooking at the age of 12. 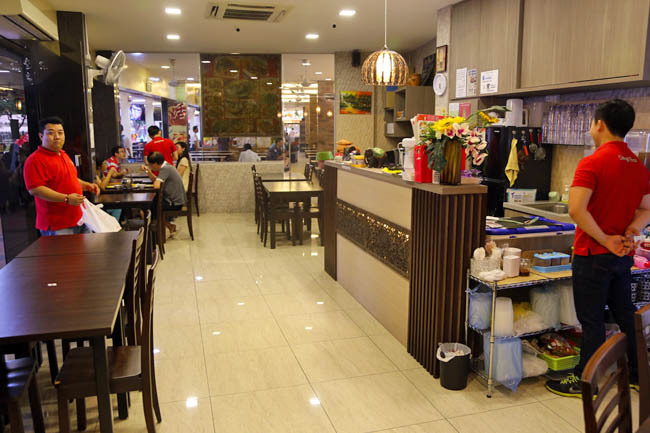 The positive point: Most of the dishes are reasonably priced, all below $10, with the exception of steamed fish (Pricing reminds me of Jai Thai). 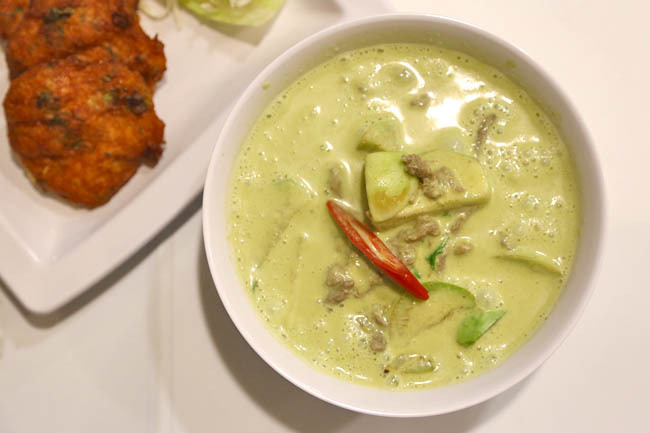 Some of the recommendations include Tom Yum Seafood ($7) which comes heated in a mini-steamboat style, Green Curry Chicken ($7), Minced Pork with Basil ($6), Sirloin Beef Noodle Soup ($7), and Steamed Seabass with Lemongrass ($25). Expectedly, here were some hits and misses. The dishes that we thought were good enough: The Garlic Honey Chicken ($6) deep-fried then tossed with a unique-tasting sweet Thai-inspired sauce, Thai Fish Cakes ($5.80 for 3 pieces) which were piping hot and juicy on the inside, and Thai Green Curry ($7) though the gravy erred to a milkier side. Chang Thai’s other speciality dish, the Pineapple Fried Rice with Thai Fish Sausage ($6) taste flat and could do with stronger ‘wok hei’ for the fragrance to be more pronounced. I went with classmates from my Thai language class, and all thought that the dishes tasted more Chinese than Thai, and could do with more punch. Perhaps the chefs tamed it down because the restaurant was frequented by families staying in the vicinity. 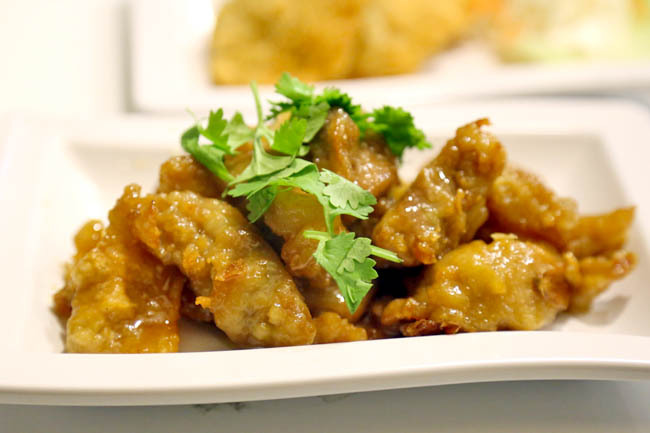 For friends in Bishan, you now know where to go for family-friendly Thai cuisine. 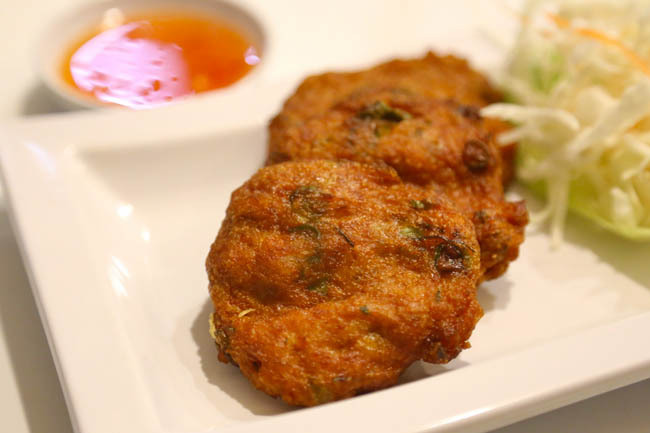 Have you tried Nakhon Kitchen? I heard the standard went down a lot. Tried Nakhon (AMK) last Friday. My verdict: I should have gone to nearby coffeeshop for dinner. Ordered black olive rice, mango salad, stuffed boneless chicken wing, tom yum soup and sweet & sour pork. All tasted like cooked from some substandard tze char stall. Totally wasted 30min queuing. The staff at chang thai are snobbish and has bad customer service. I will never ever go there again.